by Alastair Marriott for the Royal Ballet. Nominated for the Olivier Award for Best New Dance Production. Alastair Marriott internationally acclaimed Choreographer and Principal Character artist of The Royal Ballet. "Due to my training and a long career performing within The Royal Ballet I have become very proud of my classical heritage and use this as a basis for my language when creating a new work. As I develop my sense of self my voice as a choreographer has also developed, pushing and challenging these classical beginnings. When making a new work I believe it should also be challenging musically and artistically as well as technically if our art form is to continue to develop and resonate with modern audiences. Therefor collaboration is very important to me, not only with dancers in the studio but also with composers, artists and designers. In my career I have been fortunate enough to have worked with some of the worlds most renowned and sought after composers, artists and designers including Mark Anthony Turnage, Mark Wallinger and Es Devlin. When working in the studio I have always been keen to spot new talent often using young dancers alongside very distinguished stars to give my works the best casting I can find and therefore creating a nurturing effect amongst the cast." Alastair Marriott was born in 1968 and at the age of eleven he studied at The Royal Ballet School for eight years. He joined The Royal Ballet Company in 1988 and was promoted to soloist in 1992 and Principal Character Artist in 2003. After establishing himself as a dancer he started a successful career as a choreographer under the guidance of The Director of The Company Dame Monica Mason. Alastair has created a number of works for The Royal Ballet including five main stage pieces: Tanglewood, Children of Adam, Sensorium, Trespass in collaboration with Christopher Wheeldon and Connectome. His ballets for the Royal Ballet School include Prelude and Fugue,Schrumpf and Simple Symphony which has also been performed by The John Cranko School in Stuttgart. He choreographed The Royal Opera's production of The Tsarina's Slippers which was directed by Franscesca Zambello and broadcast by the BBC. Other works include kiss a pas de deux for Darcey Bussell and The Red Shoes for her stage show Viva la Diva. His works are often requested for international galas including In the Hothouse created for The Queens Diamond Jubilee gala and a pas de deux for The Royal Variety Performance. The Mikailovsky performed a pas de deux from Sensorium for the Russian TV show Bolshoi Ballet and Borrowed Light a solo toured by The Royal Ballet to NYC. He collaborated with Christopher Wheeldon on the 'extinguishing of the flame' for the closing ceremony of the Olympics and 2014 was presented with a medal for 25 years service with The Royal Ballet. 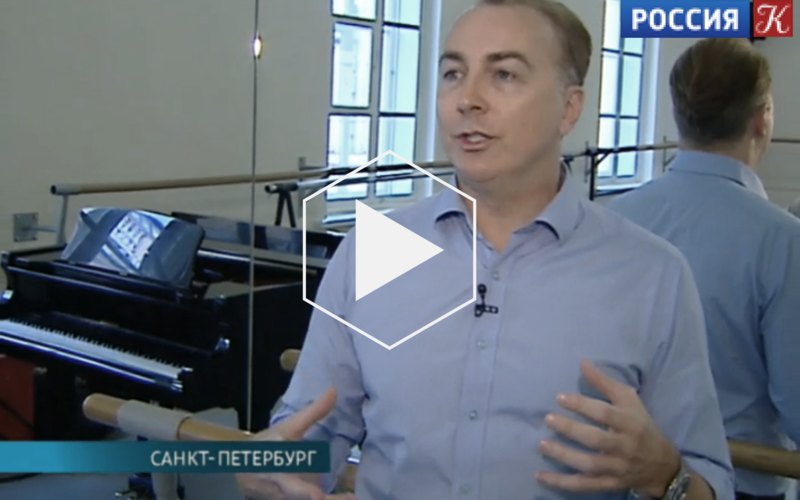 He has been nominated three times for Best Classical Choreography at the Critics' Circle Dance Awards in London and is was nominated for a GoldenMask award in Russia for Zeitgeist a ballet he created for Natalia Osipova in 2015 for her Summer tour. Royal Ballet and the Choraographer Alastair Marriott team up with Dario Marianelli and Es Devlin for First World War ballet.